SmrtGuard Mobile Security for BlackBerry | BlackBerry Blast! Have you ever lost or misplaced your smartphone, leaving your private data vulnerable? Do you wish you could block annoying calls, emails, or sms on the device? Wish you could track multiple devices under one account? With SmrtGuard Mobile Security, you get the most comprehensive suite of data, device, and personal protection services. 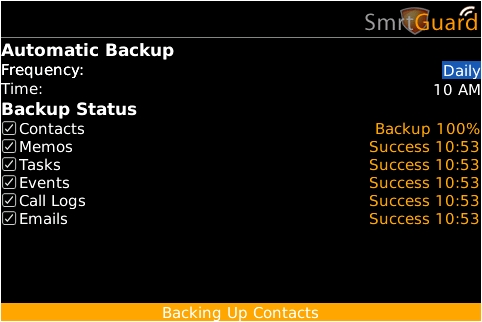 SmrtGuard is available on the Android, BlackBerry, and iPhone devices.